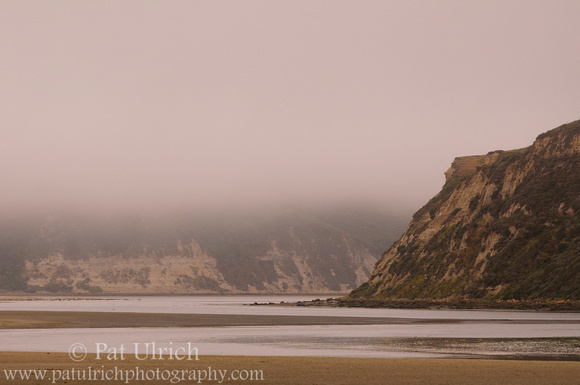 Thick early morning fog shrouds the sandstone bluffs around Limantour Spit and the entrance to Drake's Estero in Point Reyes National Seashore. I do enjoy the fog since it gives that nice diffuse light all morning long, but I don't know that I can remember the last time it was sunny for a sunrise in the Bay Area. Thanks, Jarred. This has definitely been the common weather here -- even more so this summer that usual due to some odd weather patterns. of course, since I posted this last week the weather forecast has changed to call for some clear mornings this coming week (which won't do me any good during the work week, but maybe it'll hang around until the weekend). I'm not going to complain though -- the fog just means that you can get there a bit later than sunrise and stay out with even lighting longer!